Central Board of Secondary Education has released the results of Class 12 Compartment Exam 2018. While the board conducted the class XII compartment examination on July 17, candidates can check their results online. How to check Class 12 Compartment Result 2018? Step 2: Go to the Click for CBSE Results option. Step 3: Click on Senior School Certificate Examination (Class XII) 2018 - Compartment - Announced option. Step 4: Enter your Roll Number, School No. and Centre No. Step 5: Click on Submit option. Step 6: The result will pop up on the computer screen. "The online submission of the list of Class XII students placed in compartment and Improvement of Performance (Class X) for the examination scheduled to be held in July 2017 has been started. Only those Candidates whose name is submitted through the online process shall be allowed to appear for Examination to be held in July 2017," the board said. Meanwhile, the CBSE had also set up two committees to study the loopholes in the class XII exam paper evaluation procedure. CBSE has declared the results of Class 12 Compartment exam 2018. 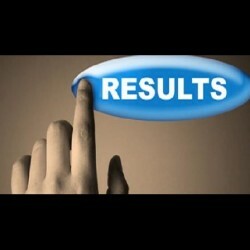 The result is available on the official website of the Board at cbseresults.nic.in. The Class 12 board exam results were declared in May in which 83.01% students were declared successful. Meghna Srivastava was the all-India topper with 499 marks out of 500, followed by Anoushka Chandra with 498 marks. Nine students bagged the top three positions in the exam. The number of students scoring 90% and above was 72,599. Girls performed better than boys.